With kids getting off from school for Christmas break, adults taking time off from work, and friends and family coming to town, it’s the time of year when we get to celebrate the holidays with the ones we love! There are many things to do in Tulsa during the holiday season. From Utica Square to the Aquarium, there’s an abundance of fun waiting for you and your family. Enjoy the beautiful lights hung around the square as well as following the Nutcracker scene by scene. 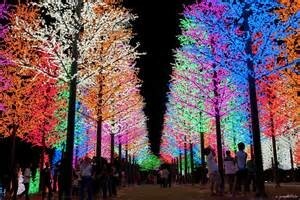 From November 25th through January 1st, enjoy free admission to Tulsa’s best Christmas light display. Over 2 million lights are lit and they are beautiful! The Nutcracker will be performed at Tulsa’s Performing Arts Center the 11th,12th,13th,18th,19th,and 20th. You won’t want to miss this holiday classic. On the days leading up to Christmas (19th -24th) the Oklahoma Aquarium has an event called “Scuba Diving Santa Claus.” Every day at 3:30 is a chance to take a picture with Santa while he is under water! How cool would that be on a Christmas card?! Open from now until January 17th, Winterfest is one of Tulsa’s favorite traditions! Enjoy ice-skating under Tulsa’s skyline with your family and friends!